Atlanta, GA – January 18, 2019 – The United Sprint Car Series would like to congratulate three of its drivers on receiving recognition as drivers ranked in the top twenty of all North American 360 sprint car drivers receiving votes in the 2018 National Sprint Car all of Fame “360 Sprint Car Driver of the Year” poll. Those USCS drivers included in the top twenty rankings out of approximately three thousand 360 sprint car drivers considered in North America are 25-year-old 2017 and 2018 USCS Outlaw Thunder Tour presented by K&N Filters National Champion Jordon Mallett from Greenbrier, Arkansas who ranked in fifth place in the 2018 season poll. Also receiving a high ranking among USCS Outlaw Thunder Tour drivers was eleven-time USCS series National Champion, Terry Gray from Bartlett, Tennessee, who finished in the runner-up spot behind Mallett in the 2018 standings. Two-time USCS Outlaw Thunder Tour National Champion (2015 and 2016), Morgan Turpen from Cordova, Tennessee also placed in the top twenty rankings in nineteenth place. Turpen finished in third place in the USCS National standing at the end of the 2018 season. USCS Founder and President, Pete Walton said “We are very proud of these three accomplished drivers and thankful the support each of them has given our racing series over the last decade and beyond. Both Jordon Mallett and Morgan Turpen have been past USCS Rookie of the Year drivers and it has exciting to watch them grow in stature as drivers individually and to gain the recognition they have Nationally. Additionally, I don’t think enough can be said about the tremendous contribution Terry Gray has made to our series not only as a driver, but, as a car owner and mentor to other drivers. I am proud of each of them and proud to be not only their promoter but have know them as people.” Concluded Walton. These drivers don’t have much time to rest on their laurels as the United Sprint Car Series hosts its 2018 and 22nd season banquet on this Saturday before kicking off the 2019 season with its earliest start ever on Friday and Saturday, January 25th and 25th at Hendry County Motorsports Park in Clewiston, Florida with Rounds #1 and #2 of the 2nd annual USCS Winter Heat Series presented by FireAde. 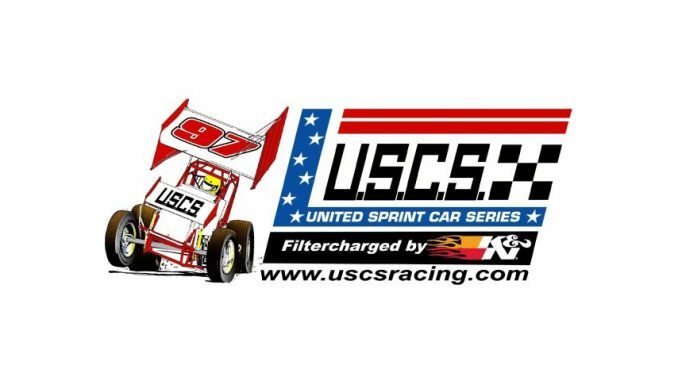 The two-night event has the USCS Outlaw Thunder Tour winged sprint cars headlining the inaugural USCS Snow free Sprint Car Winter Nationals at the farthest South dirt oval in the United States. USCS Outlaw Sprint Cars invade Hattiesburg Speedway Hub City Havoc II this Friday night!